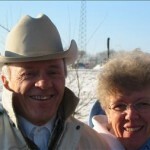 Alyn Andrus served as Andrus Family Organization president from 1978-1982. Alyn is from the Jane Munday wife line. 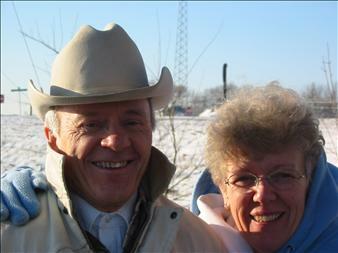 He passed away on December 21, 2010 from natural causes. Our condolences to Alyn’s family. We will miss him. For an online guest book where you can leave condolences, click here. Alyn Brown Andrus was born December 15, 1931 in the Idaho Falls Riverview Hospital. He was the first of 9 children born to Samuel Reed Andrus and Melba Phyllis Brown. He was raised on a farm in Ucon, Idaho, attended school (both elementary and high school) at Ucon, graduating in May 1950. Between February 1951 and February 1953, Alyn served a proselyting mission for The Church of Jesus Christ of Latter-day Saints, among Indians in Arizona and New Mexico. In the mission field, he met the girl who later became his wife. Alyn married Gloria Ruth Goodman, a daughter of Lloyd E. Goodman and Ruth Rothlisberger of Mesa, Arizona. Alyn and Gloria were married on June 8, 1955 in the Mesa Arizona Temple. On that day the temple baked under a sun, hot enough that their marriage never cooled, even after 55 years together here in mortality. Alyn attended Ricks College, then transferred to Brigham Young University where he graduated with a Bachelor of Science Degree in Secondary Education with an emphasis in History. 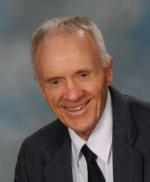 Following graduation from BYU, he taught English and Social Studies at Bonneville Junior High School during 1958-59. He then taught at the Church College of Western Samoa while Gloria served as secretary to the principal between 1959 and 1961. While in Samoa, they adopted a young boy they named Daniel. When time came to return home from Samoa, they brought with them not only Daniel, but an 18-year-old girl named Emeline Matua. Later, they sent for Daniel’s brother, Steve Danielson. Steve and Daniel grew up together in Idaho. After returning from Samoa, Alyn taught history in Bonneville High School near Idaho Falls until he matriculated at Idaho State University from which he graduated in June 1966 with a Master’s degree in Secondary Education with an emphasis in Western United States history. Again he taught history at Bonneville High School until he transferred to Ricks College in 1968. He taught History at Ricks for 29 years, 12 of which he served as chairman of the History Department. For 16 years while Alyn taught at Ricks, Gloria served as Registrar there. Both Alyn and Gloria retired in 1997, after which they served an office mission for The Church in Tucson, Arizona — only 60 miles from where they met as a young 19-year-old missionary and a younger 15-year-old girl. Once, during P-Day, they traveled to Sells (where they had met 45 years earlier), renewing memories and connecting solidly with the past—they closed the circle. After release from their mission call, Alyn and Gloria voluntarily served BYU students in the Joseph Smith Academy in Nauvoo Illinois for 3 years (6 semesters). Alyn taught American History; Gloria served as Academy librarian. In Nauvoo, they also connected with the past: Alyn’s great-grandfather Milo Andrus and great-great-grandfather Ebenezer Brown lived in Nauvoo. Gloria’ great-great grandfather Charles Hall also lived in Nauvoo. The Joseph Smith Academy with its friendly, lively students joined by beloved nineteenth century family ghosts provided transcendently unforgettable experiences for both Alyn and Gloria who were regarded by the students as beloved grandparents. Alyn served in a Samoan branch presidency, in a bishopric for 8 years, as a bishop in The Church twice for 10 years, as a high councilman 3 times for 15 years, and as a ward mission leader for 2 years. He also served as Sunday School teacher, as Fifteenth Ward Sunday Ward Bulletin editor, and as a home teacher during his adult life in The Church. Outside The Church, Alyn served as a member of the Idaho Centennial Commission for 4 years, and as a member of the Idaho Historical Sites Review Committee for 5 years. He was also a member of the Upper Snake River Valley Historical Society and the Sons of the Utah Pioneers. During the last 30 years of his life, Alyn wrote his autobiography, 2 family histories, 1 mission history, and 2 BYU Semester at Nauvoo histories. He not only loved history, but believed sincerely in recorded personal history. Alyn and Gloria claim 2 adopted sons, Daniel Pu’eata Andrus of Springville, Utah, and Steve Pu’ela Danielson of Rexburg, Idaho. They were also blessed with 9 grandchildren and 1 great grandchild. Alyn’s interests in life, besides Gloria and his family, included animals, competitive sports, classic cars, motorcycles, and writing. Playing the harmonica frequently helped him unwind. Alyn was preceded in death by his parents, by a brother, Gordon, and a granddaughter, Tiara Danielson. He is survived by Gloria and their sons. Funeral services will be held in the Rexburg Fifteenth Ward Chapel on December 27, 2010, at 11:00 am. Interment will be in the Ucon Cemetery. 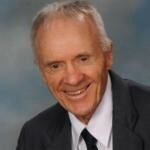 I sat in my office early this morning and thought how much this man had impacted my life in small and simple ways. I had a feeling he had passed away but felt inclined to check for him online. I will forever be grateful for Alyn B. Andrus. Without realizing it in a small moment after a history class he said something that would major consequences in my future. I can’t say thank you to him, but I can say thank you to his posterity, even after all these years.